We are glad to inform you that we are India's 1st and only Car Drivers Company which is involved into providing only Drivers all over in Delhi, Noida, Gurgaon, Faridabad, Ghaziabad. We have successful completed our Journey of 11 years. Drivers in Capital is an added service by CitySpidey which provides drivers across Delhi-NCR. 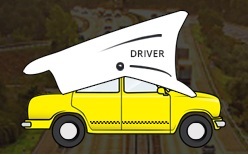 So, next time when you feel helpless with your car, book a driver two hours prior to your journey!